The Maisons Jaoul, two weekend houses designed by Le Corbusier representing a period of intense work, have apparently not had their due. 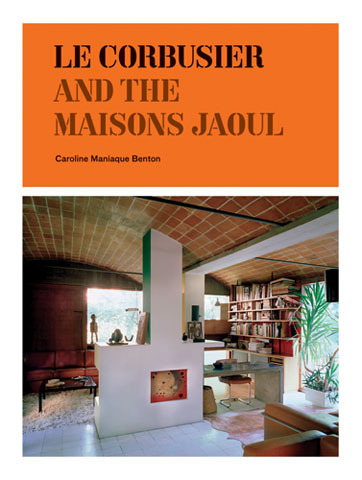 The author of Le Corbusier And The Maisons Jaoul traces the intensive period of work between 1951 and 1955 that created these houses. If you can't distinguish Maisons Jaoul from Villa de Mandrot, The Villa in La Celle-Saint-Cloud (sometimes known as Villa Felix), or the vacation home in Les Mathes, or the house for Mrs. Manorama Sarabhai in Ahmedabad, or a dozen other examples, you might be forgiven. They all contain some combination of Le Corbusier's signature Catalan vaults out of terra cotta tile, exposed brick, beton brut concrete, or rusticated brick. Like much of Le Corbusier's oeuvre, the overabundance of work, the myriad overlapping examples, the constant, calculated, conflicting, and recurring areas of exploration tend to hide entire buildings in the fold. Case in point: the houses were originally sketched up in 1937, but the sustained work of design and construction happened 1951-1955. Just try finding them on this timeline if you need further proof. If you have to survey his entire life for a show, will Maisons Jaoul really make the cut? Not always. But they should. They are the clearest examples of these particular explorations, and the ones that get knitted up most comfortably into a livable set of houses. This book rectifies their past omission from surveys (like the 100 year anniversary surveys had in the 1980s), in that it collects contemporary photographs of the houses (taken after restoration a decade ago), interviews and documents from the original craftsman, drawings that probably haven't been dusted off by FLC since Corb chucked them into box 1,277,569 fifty years ago, and a selection of wonderful letters between Le Corbusier and parties involved in the house. The balance of history and discovery is pitch perfect.